Fun Factory combines the hottest trends with all the much loved classics. Having a collection of some of the most amazing gifts, games and novelty items. Some of the most popular gift items include licenced novelty T-Shirts, personalized name programs,fashion jewellery, novelty toys etc. Also Fun Factory features the Wax Hand Emporium where you can make replicas of your own hand in coloured wax. If you are shopping for the perfect gift or picking up a souvenir for yourself, the Canada Trading Company is the best option. There are so many unique, quality items to choose from, for every occasion. Canada Trading Company is open 7 days a week, all year long. Address: 4950 Clifton Hill, Niagara Falls, Ontario. 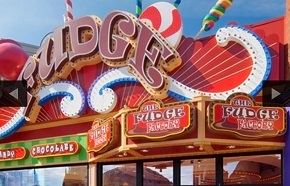 The Fantasy Fudge Factory makes all its fudge by hand. Twenty varieties of mouth watering fudge join a vast assortment of confections and the largest selection of Ty Beanie Babies in Niagara. Watch Fudge, Candy Apples, Sponge Toffee, Brittle and Beernuts all being made by our Candy Cooks using traditional recipes. Our Candy Bar features 50 types of Candy and Chocolate in a wall of enclosed candy dispensers. 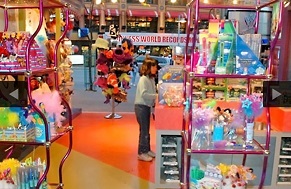 The Fudge Factory also has a great selection of Lollipops, Jelly Belly, and PEZ for kids and kids at heart. Open 7 days a week, 365 days a year. From June to September we are open 9am – 1am. 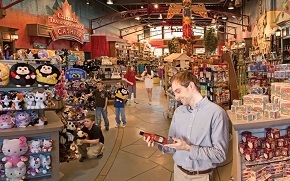 Discover fascinating souvenirs and Niagara Falls gifts to remember your trip by. Explore our selection of crafts and specialty gifts for your friends and family at home - all available at the Niagara Falls Marketplace! Also check out the great items available at the Fun Factory. 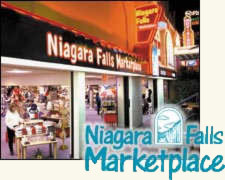 Make sure to schedule time for Niagara Falls shopping.